A young college student arrives in a sleepy Massachusetts town to research witchcraft; during her stay at an eerie inn, she discovers a startling secret about the town and its inhabitants. A woman who may be a witch defends her husband from forces attempting to harm him. Richard Barlow: When I look into a microscope, Driscoll, I see bacteria swimming, fighting, existing, that's real. These witches that were persecuted and burned in the 17th century were real too, but they weren't witches. They were pitiful human beings, victims of hysteria. Prof. Alan Driscoll: There are many imminent scholars who have documented proof of the actual practice of witchcraft. Q: What gives the shot of Elizabeth Selwyn on the stake its peculiar quality? 1960 was a year in which three horror films on a similar subject matter known as The Haunted Palace, Horror Hotel, and The Mask of Satan were released. The locales are worthy of Lovecraft. The opening scene is inspired by the pre credits sequence of Mario Bava's debut, The Mask of Satan(1960). 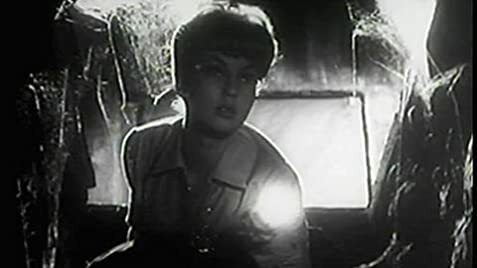 Horror Hotel(1960) has an Italian flavor with its atmosphere and mystery. Whitewood like Dunwich is a cursed and unsavory little town. 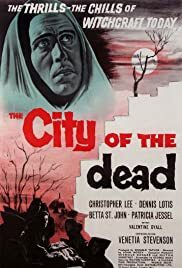 An underrated horror flick of the 1960s. Patricia Jessel gives a commanding and menacing performance as Elizabeth Selwyn. Christopher Lee gives an excellent turn as the mysterious Professor Alan Driscoll. One of his best roles in a non hammer horror film besides Horror Express(1972), The Whip & the Body(1964), and The Wicker Man(1974). Comes after his famous roles for Hammer studios in Curse of Frankenstein(1957), Horror of Dracula(1958), and The Mummy(1959). About a young student who goes off into an old New England town to investigate the phenomen of witchcraft. After she disappears her brother looks for her with sinister results. There are tads of Dennis Wheatley in Horror Hotel(1960). John Moxey films the horror with finesse. Professor Alan Driscoll in a way i alike the character of Mocata. The scene where the boyfriend of the missing girl crashes into a tree after seeing the image of Selwyn burning and laughing is something out of The Devil Rides Out. Christopher Lee does a good job in hiding his rich British voice. May be the influence for Lucio Fulci's Paura Nella Citta Dei Morti Viventi/City of the Living Dead(1980) and Dario Argento's Inferno(1980). For example Inferno(1980) uses a couple of this film's plot device. An intriquing line in Horror Hotel comes from Christopher Lee in the early first half when he says, "The basis of fairy tales is reality, basis of reality is fairy tales". Seems to implie that legends and myths are based on something true.